Don’t miss out on an increased chance to hatch a Togepi (and other Pokémon)! Starting the morning of December 25, 2016, and through the afternoon of January 3, 2017 (PST), PokéStops will award one single-use Incubator each day after your first Photo Disc spin. As you visit PokéStops during this time period, there will be a greater chance of finding Eggs that hatch Togepi, Pichu, and several other recently found Pokémon, originally discovered in the Johto region. Wild Pikachu wearing Santa hats will also be sticking around for a little while longer as part of the holiday event. 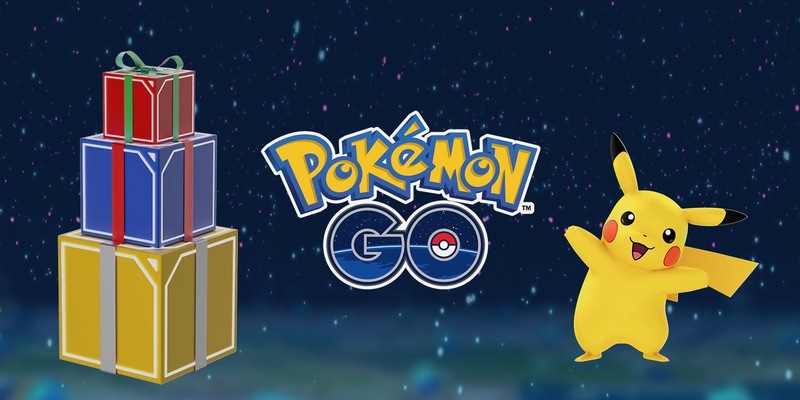 As the Christmas event wraps up, Pokémon Go is kicking off a New Year’s event as well that will make catching starter Pokémon and their evolutions more frequent. In addition, from the afternoon of December 30, 2016, through the afternoon of January 8, 2017 (PST), the first partner Pokémon and their Evolutions, originally discovered in the Kanto region, are more likely to be encountered. This means a greater chance to catch Bulbasaur, Ivysaur, and Venusaur, as well as Charmander, Charmeleon, and Charizard, plus Squirtle, Wartortle, and Blastoise! Niantic has been using other holidays to promote gameplay recently too with similar promotions during Thanksgiving and Halloween.